Graham watches are sought across the globe for those that desire an exquisite watch piece that is elegant as well as functional. The name Graham is known for some of the highest-class watches coming out of London. During the 17th and 18th century, Graham watches were the most popular due to their classy and elegant design. The same is true today. Graham often referred to as the father of the chronograph has been attributed to creating the first stopwatch, dead beat cylinder escapement, a mercury pendulum system designed for better accuracy in hot as well as cold weather, first wall chronograph, and the master clock for the Greenwich Royal Observatory. By 1722, the name Graham was known throughout London and became the Master of the Clockmaker’s Company. After this creation, Graham became the first clock maker admitted to the Royal Society. Even though Graham passed away in 1751, his devotion for creating high class and unique watches is still alive today. Those that are creating the Graham watches of today carry the same skillful techniques and unique designs the watches have carried for centuries. 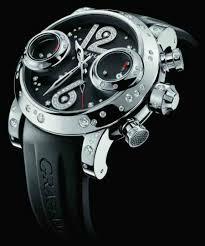 Today, the same vision and revolutionary designs can be seen in the watches created. All of the watches offer unique concepts that help in the creation of the functions, design, and finish of every watch. Collectors and connoisseurs love the originality, design and the high quality materials used in the creation of every timepiece. Today, the original company, Graham London, is owned by British Masters, which proudly manufacture Graham’s signature watch collections, which include the Chronofighter and Swordfish lines. Some of the most popular collections you can find today include the Chronofighter Oversize Collection, Prodive Collection, Chronofighter 1695 Collection, Stowe GMT Collection, Stowe Collection, Chronofighter Oversize GMT Collection, Stowe 44 Collection, Swordfish Booster Collection, Silverstone Vintage Collection, and the Graham Silverstone RS Skeleton. The Stowe Collection offers many unique features that have collectors adding several different styles in their showcase. A few of the most popular features include functions such as hours, minutes, seconds, date, chronograph, and tachymeter scale, sapphire caseback, steel case, black tire tread rubber bracelet, luminous hand indicators and hour markers and sapphire, antireflective on both sides, domed crystal as you will find with the Graham Silverstone Stowe USA. In the Graham Chronofighter 1695 line, you will find exquisite features such as a stainless steel with Greenwich Observatory engraved and sapphire aperture on the balance wheel caseback, brown leather strap, domed black dial, chronograph sub-dial, domed sapphire crystal with anti-reflective coating on both faces for the crystal. The case width is 42mm. The Graham Silverstone Vintage may be one of the most popular offering a 47mm case width, automatic calibre G1734 movement, rhodiated silver, white lacquered and beige Super LumiNova coated hour markers. All Graham watches offer a unique style and provide wearers with all the attention they deserve.